On October 27th, a neo-Nazi murdered 11 Jewish people in a mass shooting at a Pittsburgh synagogue. It’s a fearful phrase that can only be coined by a people who have spent generations running from state-sanctioned violence, and who still pass down that trauma. If an individual Jewish person is negatively portrayed in the news, how will that fuel the anti-Semitic conspiracy theories that, for centuries, have been fabricated to justify hatred and violence against us? 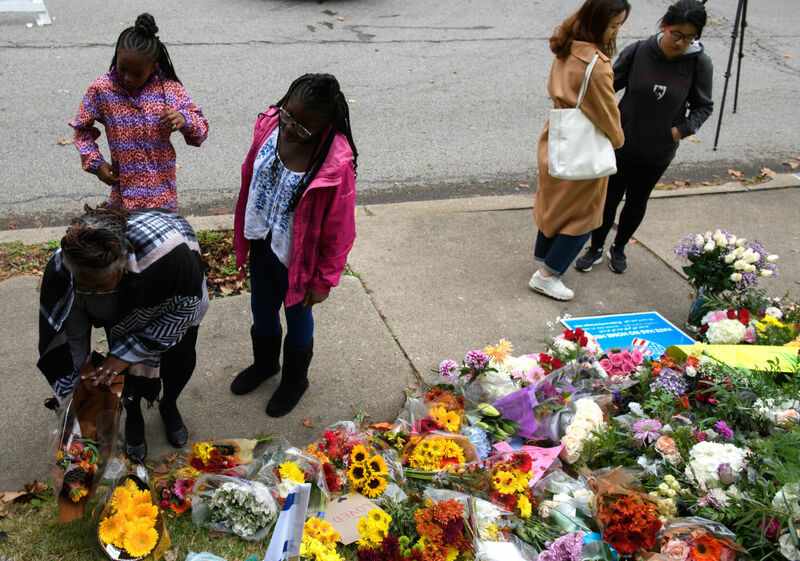 On Saturday morning, October 27th, Jewish worshippers attended a bris at Tree of Life synagogue, located in a historically Jewish suburb of Pittsburgh. A white supremacist named Robert Bowers walked into the synagogue carrying an AR-15 semiautomatic rifle and three handguns. He screamed “All Jews must die,” and he murdered 11 people, their ages ranging from 54-97. Two brothers. A grandmother. A grandfather. An academic researcher. A doctor celebrated by Pittsburgh’s LGBTQ community because of his lifesaving work for AIDS patients in the 1980s. All were beloved by their community, and all should still be alive. Two of the Pittsburgh victims shared my family name. It wasn’t always part of my family tree, at least not with that spelling; our surname was Americanized when my surviving European relatives escaped Hitler’s Third Reich. I wondered how they felt when they wrote their new name for the first time—if they couldn’t believe they’d made it out alive, that it would all be okay now. In 2018, I read our name twice in an article about Jews killed for being Jewish. After the devastating attack, Bowers’s social media history revealed numerous posts referencing the anti-Semitic conspiracy theories and rhetoric frequently spouted by white supremacists. Everything from the longstanding beliefs that Jews control world governments, are engineering a white genocide, and are the children of Satan, to the very recent xenophobic conspiracy theory surrounding George Soros and the migrant caravan. Anti-Semites and the alt-right have often discussed how Soros—who they call a “globalist” (a code for “Jew” used by white nationalists)—is connected to the caravan. Soros’s goal, they claim, is to help immigrants “invade” the U.S. and destroy white Christianity. Using such coded language, this theory has even made it into serious discussions on President Trump’s beloved Fox News. This anti-Semitic claim is likely related to why, on Saturday morning, Bowers posted about his hatred of the Hebrew Immigrant Aid Society and the National Refugee Shabbat; he stated that he won’t “sit by and watch my people get slaughtered” by Jews and immigrants, and then walked into a synagogue with an arsenal. It should be noted that Bowers’s social media presence also paints him as someone who hates Trump. The mass murderer believes the 45th president is “controlled by Jews”—a strange theory considering that Trump is the man who referred to neo-Nazis chanting “Jews will not replace us” in Charlottesville as “very fine people,” who put known anti-Semite Steve Bannon in the White House, who recently used the white nationalist-approved term “globalist” in a speech, and whose son made an anti-Semitic comment on Fox News. Of course, White House Press Secretary Sarah Sanders is having a field day with Bowers’s Trump hatred, using it to deflect conversations about how Trump emboldens neo-Nazis. But as far as I’m concerned, Bowers’s anti-Trump rhetoric on social media is irrelevant. What matters is that he murdered 11 Jewish people because of white supremacist ideology that has existed in America since its founding, that is believed by MAGA hat-wearing neo-Nazis, and that Trump will not denounce. In Charlottesville they chanted, "Jews will not replace us!" The President responded by calling them, "Very good people." THIS WEEK he said "globalists" were hurting the world. "Globalist" is the white nationalist term for "Jew." Trump’s reactions to the shooting tell us all we need to know. He does not speak of ways he will end the anti-Semitism that is prevalent among his political fan base. He does not outline how his administration will focus on combating hate crimes against Jews or against anyone. He does not say that Nazis have no place in America or on this Earth. Instead, he talks about how the shooting happened because the synagogue did not have an armed guard. Instead, mere hours after 11 people died, he joked about having a bad hair day because he stood in the rain to answer questions about a massacre. 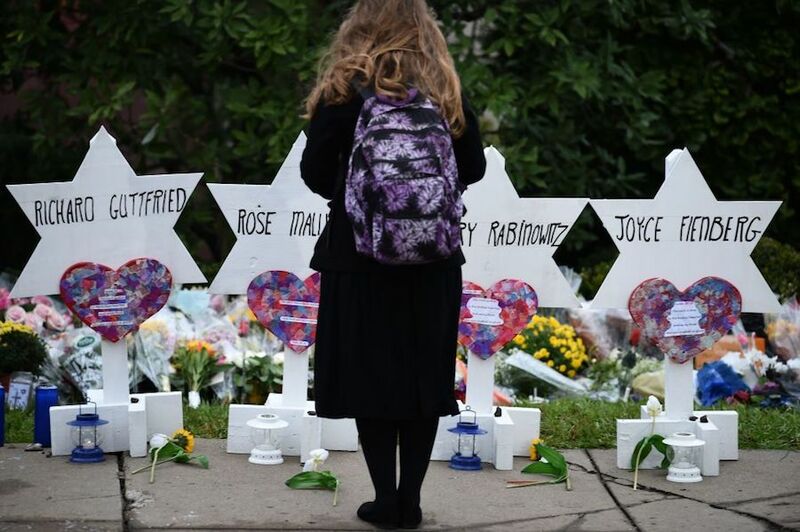 Jewish leaders in Pittsburgh made a statement that Trump is not welcome in their city until he denounces white nationalism and stops targeting all marginalized peoples. The travel ban barring Muslims from entering the U.S. The deadly white supremacist rally in Charlottesville. 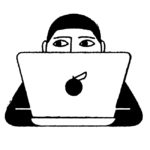 The uncertain futures and unsafe realities of undocumented people who rely on DACA. Trump’s anti-Black policies and appointment of Attorney General Jeff Sessions. The Austin package bombings that killed a Black man, a Black teenager, and injured five others—but that Trump wouldn’t call terrorism. The inhumane immigrant detention camps that have separated Latinx families, abused children, and caused pregnant women to miscarry. The recent Trump legislation that aims to essentially erase trans and non-binary people from existence. The white supremacist who murdered two Black men at a grocery store in Kentucky on October 24th after he failed to break into a Black church. The numerous pipe bombs recently mailed to Trump-criticizing Democrats who have been targeted by the president’s harmful rhetoric. Still, it’s dangerous to pretend that tiki torch-carrying neo-Nazis materialized out of thin air as soon as Trump got elected. His language and polices fuel racists and anti-Semites, but he is motivating hateful ideologies that predate his presidency. Ending white nationalist dreams of “Making America ‘Great’ Again” means acknowledging these hate crimes are not new. It means remembering that in 1977, a neo-Nazi murdered a rabbi at a synagogue in my mother’s hometown. And that, when I was 9 years old, a neo-Nazi with an automatic rifle walked into a Jewish community center 20 minutes from my house and opened fire on children—just two of many anti-Semitic attacks that have occurred in the 20th and 21st centuries. In 2012, a white supremacist murdered six worshippers and injured four others in a mass shooting at a Sikh temple in Wisconsin. A white supremacist murdered nine Black people while they prayed at a Black church in Charleston in 2015. Black people are routinely killed by white police officers who walk free. The day Trump is no longer in the Oval Office is not the day white supremacy is suddenly over. Every community victimized by white supremacy is tired. I have said nothing that hasn’t been said before. In a 1970 letter to civil rights activist and then-political prisoner Angela Davis, writer James Baldwin evoked images of Nazi concentration camps and referenced the silence that helped Hitler rise to power, illustrating that all oppressions—from Nazi Germany to anti-Blackness in America—are connected. He promised to speak up and fight for Davis’s freedom because “if they take you in the morning, they will be coming for us that night.” So while my words aren’t new, I will speak again and again.